While being interrogated by a police officer, Aïcha (Sophie Nélisse), 14, recounts the events that led to her arrest. 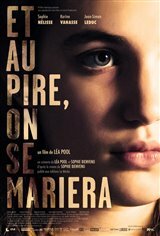 In search of identity and love, the teen has a fractious relationship with her mother Isabelle, whom she blames, among other things, for having chased away her adored Algerian stepfather, Hakim. When Aïcha is saved from an assault in a park, she discreetly follows Baz, the young man who saved her, in order to discover where he lives. A friendship slowly develops between the young rebel and the amateur cook and musician, who is twice her age. But when she falls in love with him, the teen is disappointed when she realizes he doesn’t share her feelings.